There’s no doubt that anyone wanting an agile off-roader could spend less and get something that does more than the Audi Q5. Though, like most off-roaders bought in this country, this one won’t be getting its tyres dirty any day soon. Their latest incarnation of a mid-size SUV combines subtle styling enhancements, some efficiency gains and equipment upgrades. All of the Audio Q5 engines have been revised too. There’s also a boosted suspension (which won’t be needed for most of its drivers) and a raft of new options which include in-car internet services such as Google Earth and Street View, online traffic information and internet radio. Audi have also introduced the ‘start-stop’ function on their Audi Q5 which annoys some people who don’t understand why their vehicle has cut out after being stationary for a few minutes. The lure of the Audi badge will tempt many buyers and I don’t think they will be disappointed. It handles really well, though the ride can be a bit firm, and it is a fun drive. 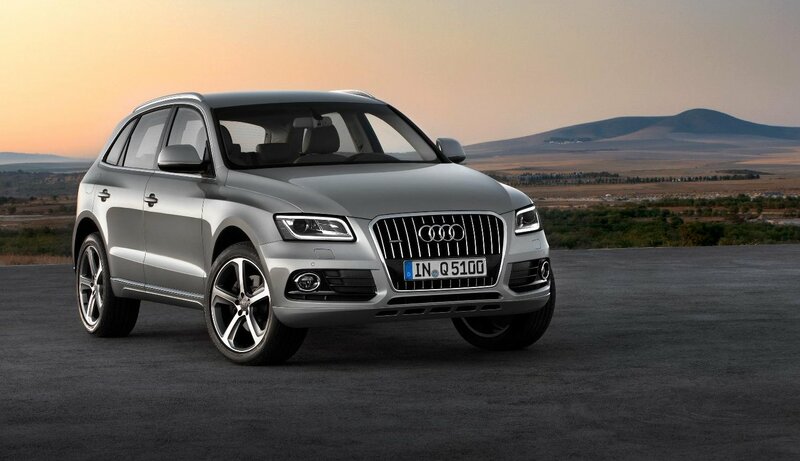 Essentially, the Audi Q5 comes with everything you would expect for a car of this stature – and more. There’s plenty of room inside and a massive boot. There are four engines to choose from which come with seven-speed S tronic twin-clutch transmission which help power the Audi Q5 from zero to 62mph in 6.5 seconds. Its top speed is 140mph. The Audi Q5 doesn’t feel particularly fast when you have your foot to the floor and of the engine options it would be a wise choice to get one of the four cylinder 2litre diesels. They are frugal and responsive enough for most day-to-day driving. Car leasing prices can be found on our Audi Car Leasing Section. This entry was posted in Cars, Executive Cars, News and Views and tagged audi, audi car leasing, audi q5, Audio Q5, caption, car, car leasing, Google, LS, new audi, New Audi Q5, price, speed, SUV by Steve Lumley. Bookmark the permalink.